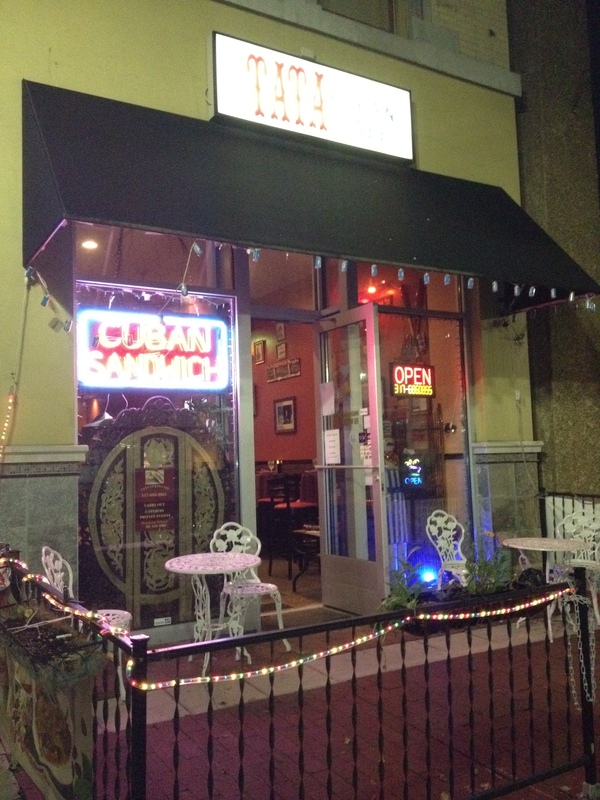 Global Eats Indy – Cuban! 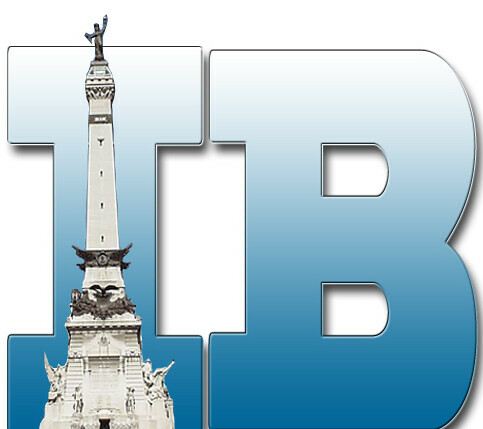 If you haven’t been keeping up with my Global Eats Indy posts, here’s the deal. A group of my friends and I travel to a new restaurant each month to try a new type of cuisine in Indianapolis and then I kindly report back here on my blog to let you know how it was! Any other ethic foodies out there? Check out our Italian and Turkish adventures if you missed them. 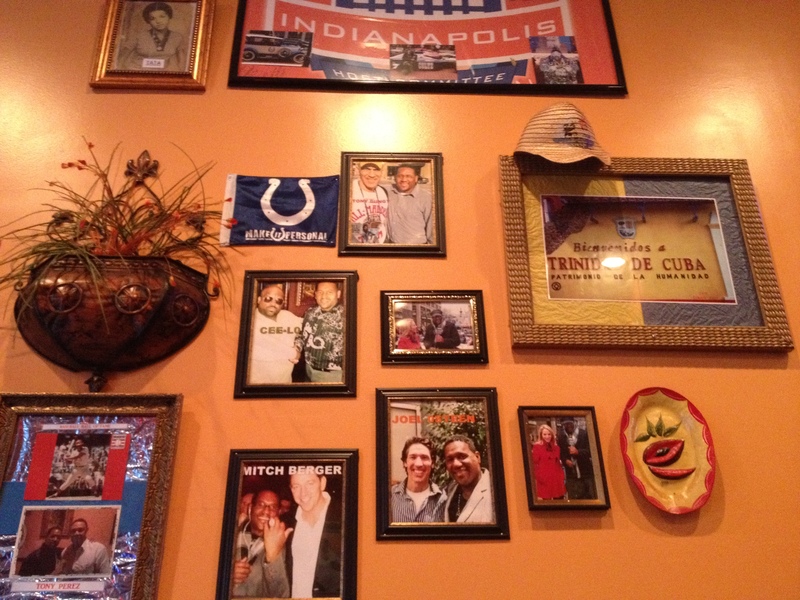 On our third excursion we traveled to Tata Cuban Cafe in downtown Indianapolis. It is a cute little cafe located on Market St., and its one of those hidden gems that might be easy to miss, but SOOO worth the journey to find it. Sorry for the overly bright sign… but isn’t this a cute storefront? 1. It is tiny. They only seat about 40ish? Maybe not even that many. But it kind of adds to the atmosphere, making it feel like a family restaurant in a small town. 2. They do not serve alcohol. But DON’T let this be a deal breaker for you. We typically give reviews on the culture’s traditional beverages, but the main thing is the food. There are plenty of establishments nearby to get refreshments afterwards if you so choose. 3. Make sure to look at the walls! They have a lot of cool pictures of people who have eaten there and festive decorations. 4. Every single thing on the MENU is good! The entrees are listed in Spanish, but even if you don’t habla Espanol, you can’t go wrong! Be adventurous! 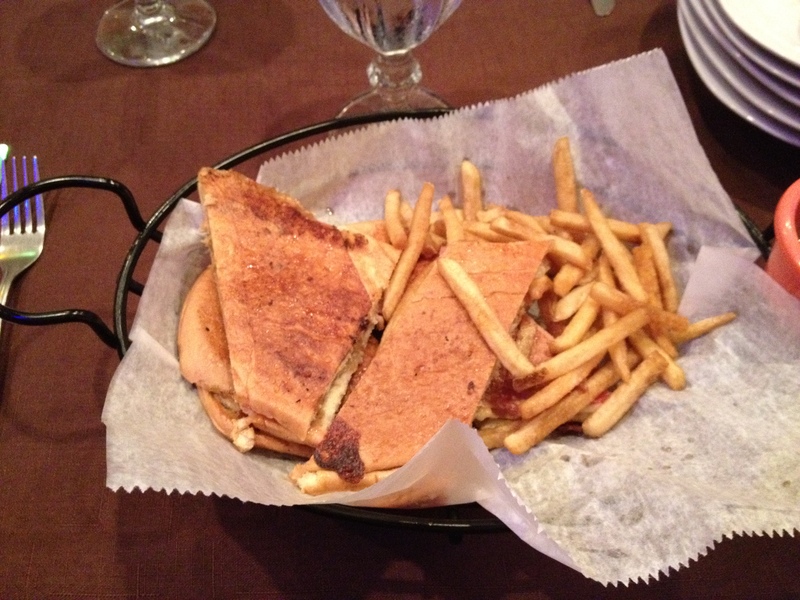 Courtney had the El Guaso Cuban Sandwich – Cuban sandwich made with roasted pork, ham, swiss cheese, pickles and mustard, and hot pressed on Cuban bread. This is a good dish for someone who isn’t that familiar with Cuban food. It’s a classic! Yum! Who doesn’t love a good hot pressed sandwich? I had the Ropa Vieja Habanera – Shredded beef marinated with citrus juices,mojo criollo, mixed with grilled onions and peppers. 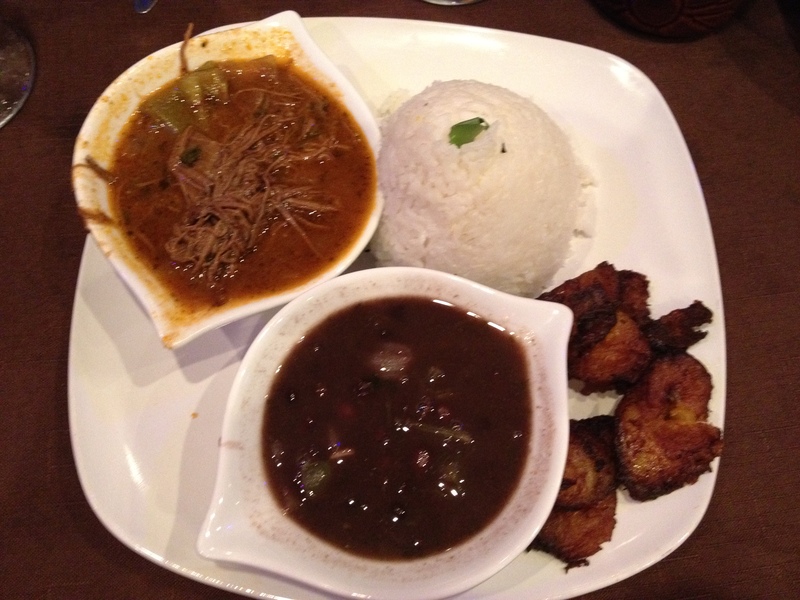 Served with white rice and sweet plantains. I thought it was neat how each component of the meal came in small portions. Great presentation! Everything was soooooooo good! Did I mention that it was good? Well if I didn’t, it was good! Not only is the food to die for, the price is good too! Their whole menu ranges from $5.00 – $19.99. Thats a deal if you ask me. Overall we had a great time at Tata Cuban Cafe! It was nice to catch up with some great friends, meet some new ones, and enjoy a new type of cuisine. Oh and a fun little treat, we were the biggest group in there so the owner, Alfredo Gonzalez, came out to chat with us and even took our group picture to add to the Tata Facebook page! 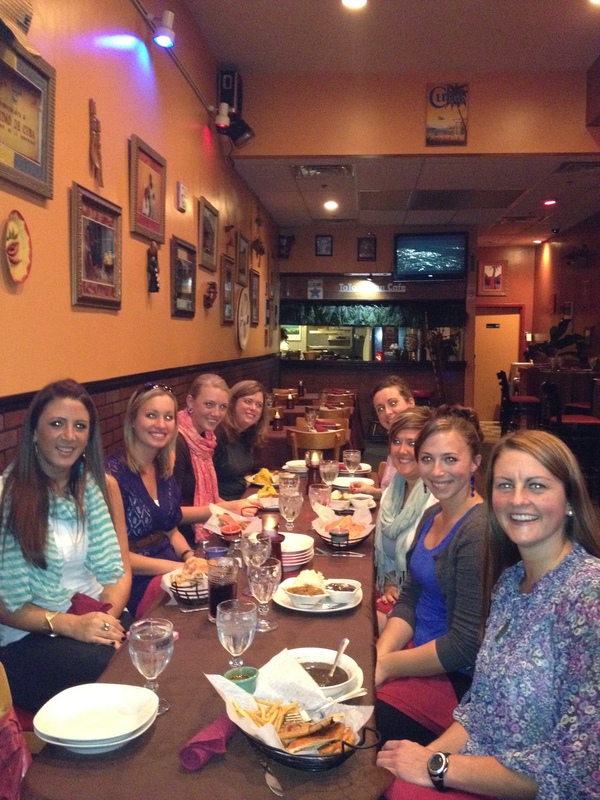 Great group of Global Eats Indy girls! Have any of you ever been to Tata? Check out this video from their website to learn more about them! Alfredo is a very fun guy! 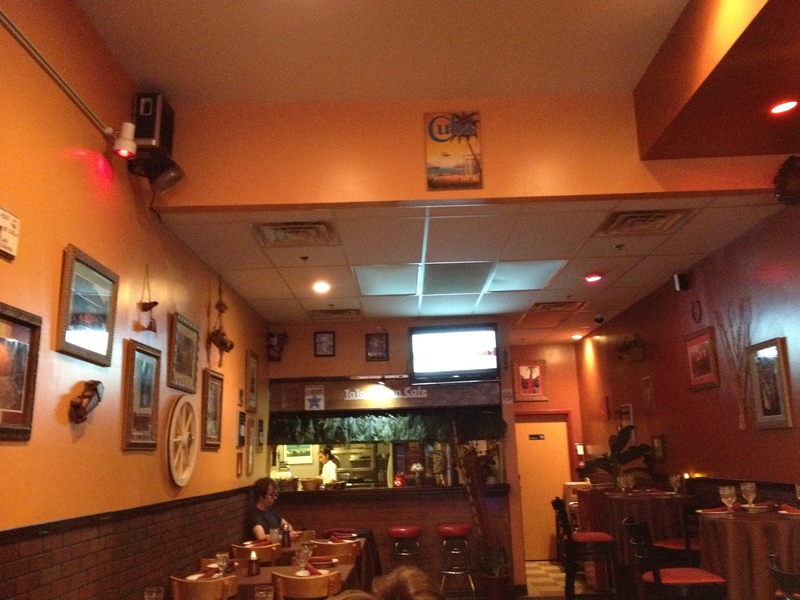 He really takes traditional Cuban elements and incorporates them into every aspect of the Cafe. I will definitely be going back there sometime soon! I’m still full just thinking about all the great food we ate at Tata’s, but there’s no rest for the weary! Next up – Vietnamese food! Anyone ever been to Long Thahn Restaurant? I’d love to hear any tips on what to order!